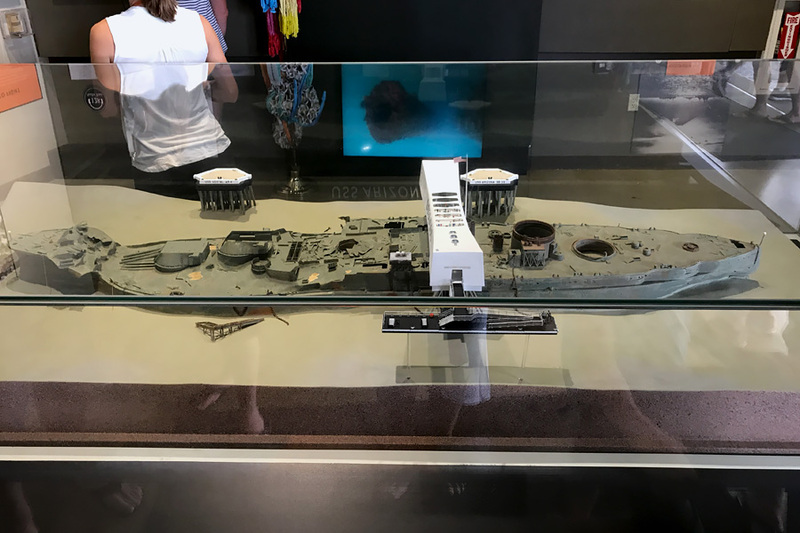 When we were in Oahu last summer, one thing the Frans wanted to do was visit the Pearl Harbor Visitor Center. He really enjoys history and wanted to find time to tour the attractions and view the exhibits. Entrance into the area is free and guests of all ages are welcome. There are two fabulous museums you can walk through and beautiful grounds to enjoy. We did have one major hiccup, though, during our visit. The admission and ticket information is so ridiculously confusing that, despite prior research, we almost missed the main attraction. (We were only able to experience it thanks to a fluke and some super timing.) So your visit goes smoother than ours did, here are five things you need to know about visiting Pearl Harbor. Knowing these five points can make all the difference in having a nice visit to Pearl Harbor or not. I’ll go into detail about each point below but here are the tips in a nutshell. Reserve tickets ahead of time. Give yourself enough time to explore. 1. Reserve tickets ahead of time. 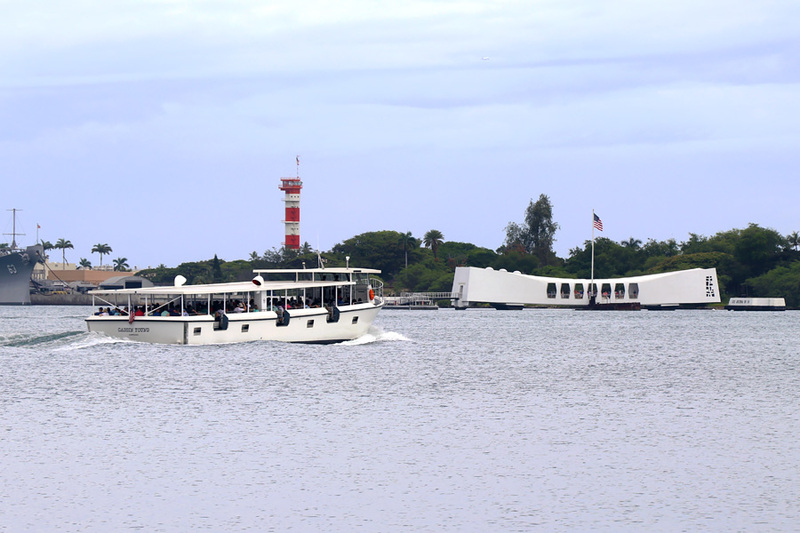 The one attraction at Pearl Harbor that you definitely have to see is the USS Arizona Memorial. This is part of the World War II Valor in the Pacific National Monument run by the National Park Service. The Memorial is built above, but not touching, the sunken USS Arizona battleship. It serves as a tribute to the more than 1,000 who lost their lives during the attack on Pearl Harbor on December 7, 1941. Before boarding the boat which takes you to the memorial, you will enter the theater to watch a very informative and interesting 23-minute film. I actually enjoyed the film even though I usually don’t like historical documentaries. The USS Arizona Memorial is also an active graveyard. 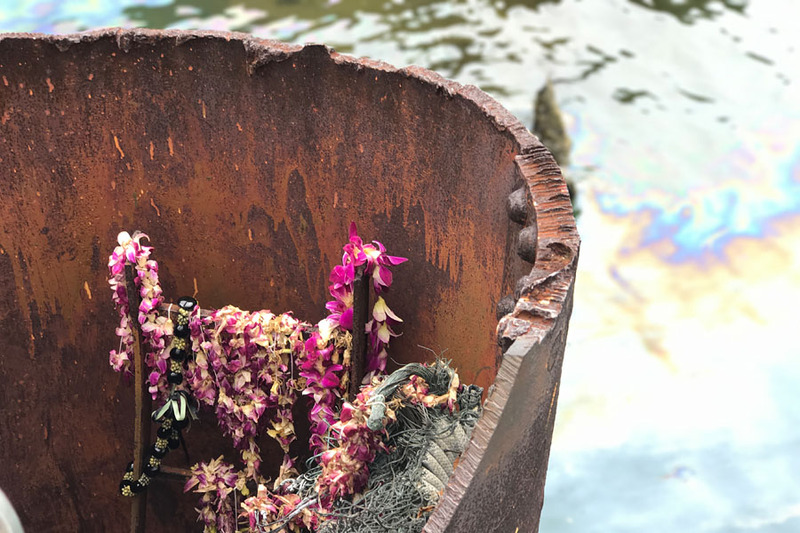 There are still 350 gallons of oil still aboard and 5-10 quarts continue to seep into the water every day. Some refer to this oil as “black tears.” Supposedly, these will continue to flow until the last survivor returns. The whole program (including the documentary, boat ride, and brief stop at the memorial) lasts about 1 hour and 15 minutes. I recorded a short walk-through so you can get a better idea of what it’s like to visit there. I highly suggest reserving your tickets ahead of time. The tickets are free ($1.50 fee to reserve ahead) but there are only so many available tickets for each day and they are timed. Tickets can be reserved online or over the phone two months before your visit. If you don’t find tickets for the date or time you want, additional tickets are released 24 hours ahead of time for next-day visitors. They do have 1,300 tickets for walk-ins. But, especially during peak travel seasons, people line up long before the area opens and those tickets can be gone in less than an hour. Also, the tickets, as mentioned, are timed. That means you can get there at 6:30 a.m. but your time slot might not be until 3 pm. There is a slight chance that some people miss their time and their slot is released. This is risky, though, as you never know when or if it will happen during your visit. I would not recommend that families take this chance. When you arrive, there are three ticket counters. At the counter to the left, you pick up your FREE reserved or walk-in tickets. At the middle counter, you can also opt for a narrated audio tour to accompany it for $7.50. 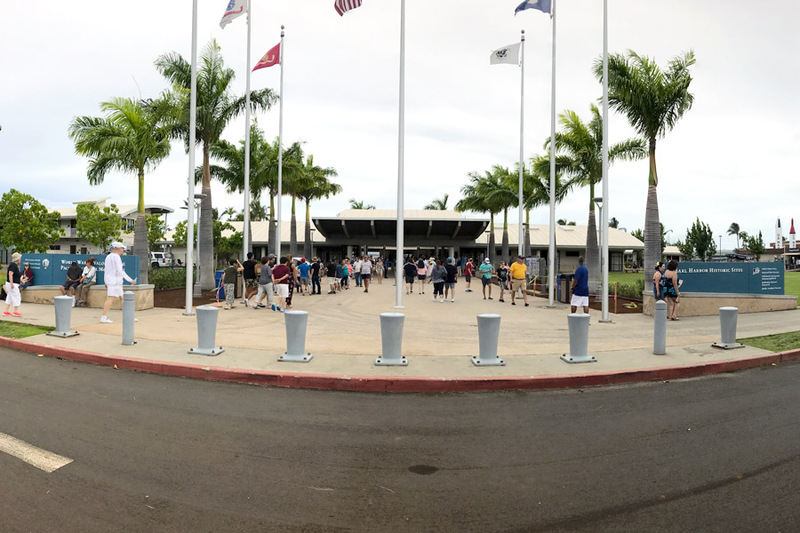 To the right, you can purchase tickets to the three other Pearl Harbor Historic Sites (Battleship Missouri Memorial, USS Bowfin Submarine Museum and Park, and Pacific Aviation Museum Pearl Harbor) or other package tours. 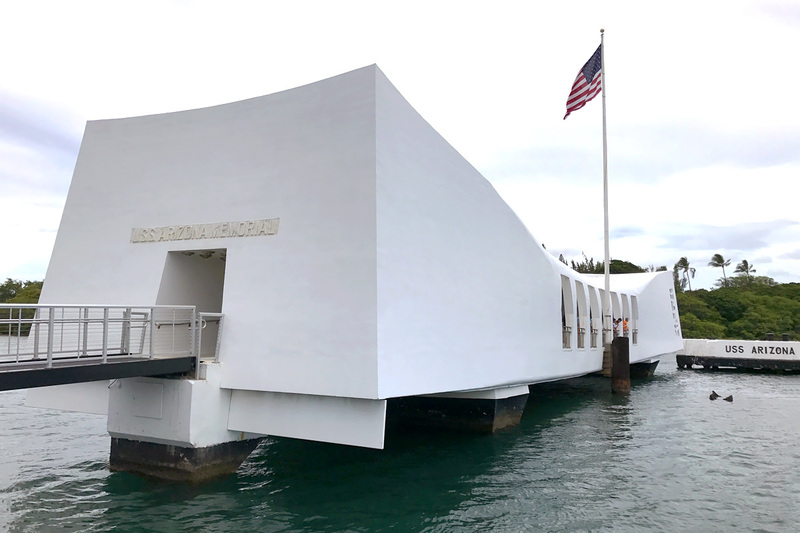 Keep in mind that the above tours do not include tickets to the USS Arizona memorial unless they are purchased ahead of time on recreation.gov. Pearl Harbor Visitor Center is the most visited place in Hawaii. That means it’s busy every day, all day. Parking is free but the lots fill up quickly. By 10 am or 11 am, you will be circling the area, stalking people returning to their cars, or parking in the boonies far away from the site. Doors open at 7 am. 3. Wear clothes with pockets. 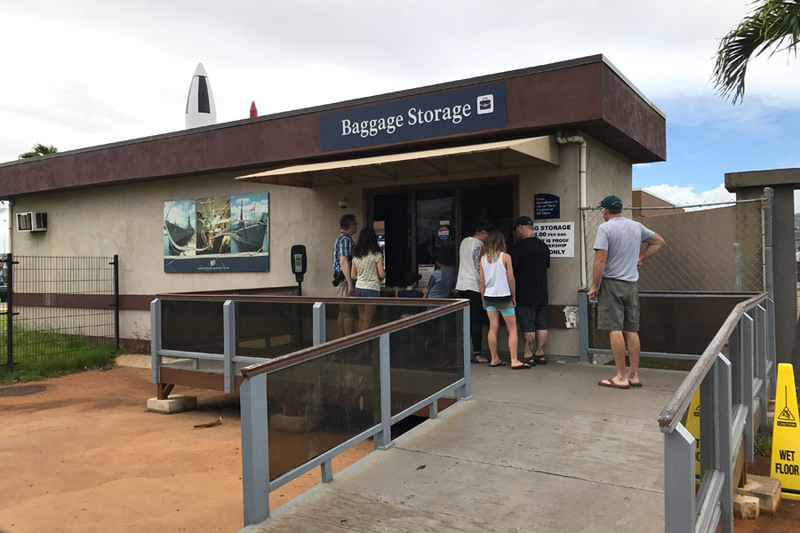 No bags are allowed at any of the Pearl Harbor Historic Sites. These include backpacks, purses, luggage, and shopping bags. Visitors can store their bags at the baggage storage area for $5 per bag (effective 2018). Sunscreen isn’t allowed either so make sure you put that on before you enter and exit to re-apply later in the day. The only items you can bring are wallets, cameras, cellular phones, bottled water, and medicine (stored in a clear bag). So, wear clothes with pockets or you’ll be stuck holding everything in your hands. Food can be purchased at the Pearl Harbor Visitor Center. 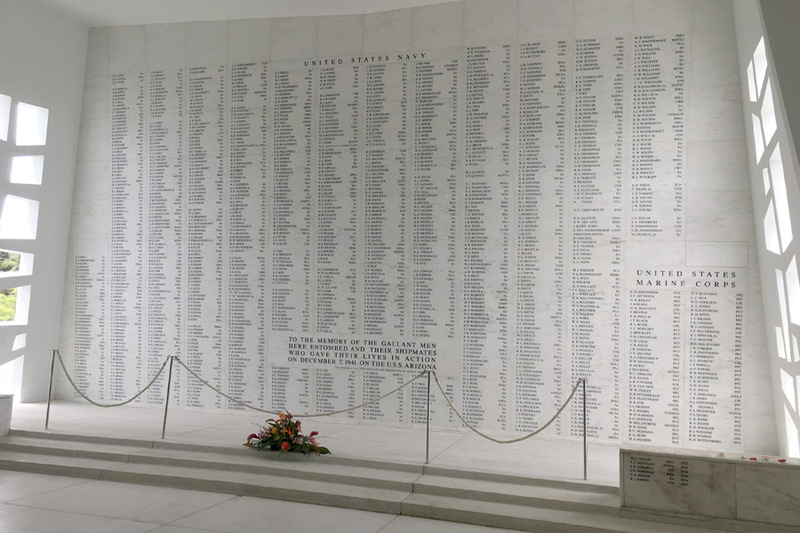 Many people lost their lives during the Pearl Harbor attack and the area serves as a reminder of that event. Therefore, it’s important to show proper respect while visiting. The sunken ship below is where many died and serves as an active cemetery for survivors who want their remains “buried at sea” here. 5. Give yourself enough time to explore. As mentioned, the USS Arizona Memorial tour itself is about 75 minutes. 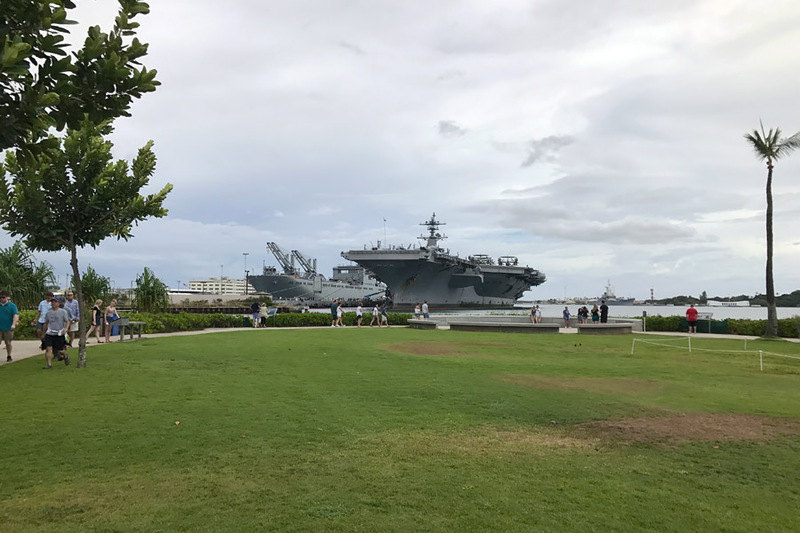 That doesn’t include the time used to wait for your tour to start, explore the grounds, walk through the two self-guided museums (these are fantastic), visit the other three Pearl Harbor Historic Sites (EACH requires 1-3 hours to see), and to check out the museum store. We only went to the museums and the USS Arizona al tour due to limited time and energy. Just visiting those three took us about four hours. The Pearl Harbor Visitor Center in Oahu, Hawaii is a must-do activity for families visiting the island. History buffs will appreciate touring the ships in real life, examining the museums jam-packed with information and antique goods, learning inside stories of the events that transpired, and reflecting on how those impact us today. Casual visitors will gain a deeper understanding of what happened and gain empathy for those who lived through the difficult times before, during, and after the Pearl Harbor event. This is one cultural destination you won’t want to miss.